This past year has been a busy one. Busy with my son, busy with writing my Sierra Legacy series, busy with all the usual mama chores and home projects. But somehow none of those projects included the garden, so things got a little wild out there. Well, more than a little wild. We’ve spent days recently pulling weeds and pruning and trying to clean up in general. 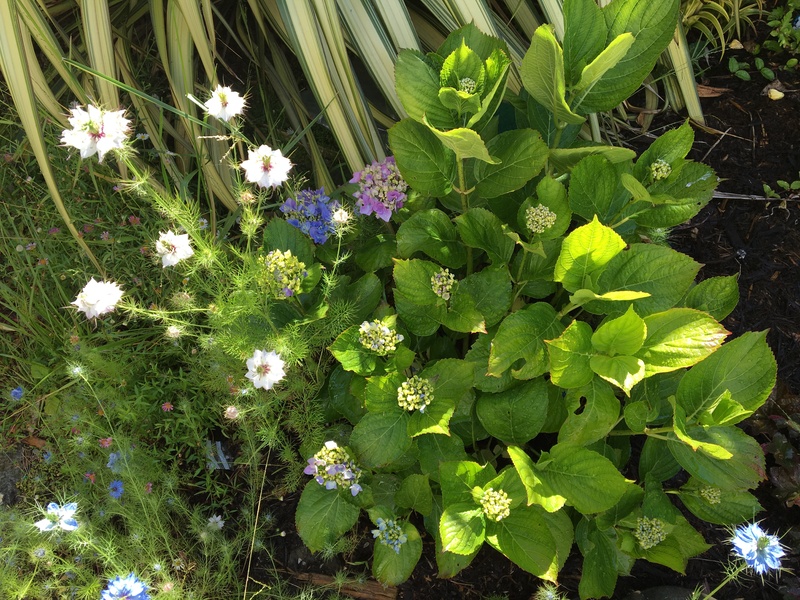 But one of the amazing things about gardens is that when you leave them alone, magical things sometimes happen. Yes, I should have pruned this geranium over the winter. 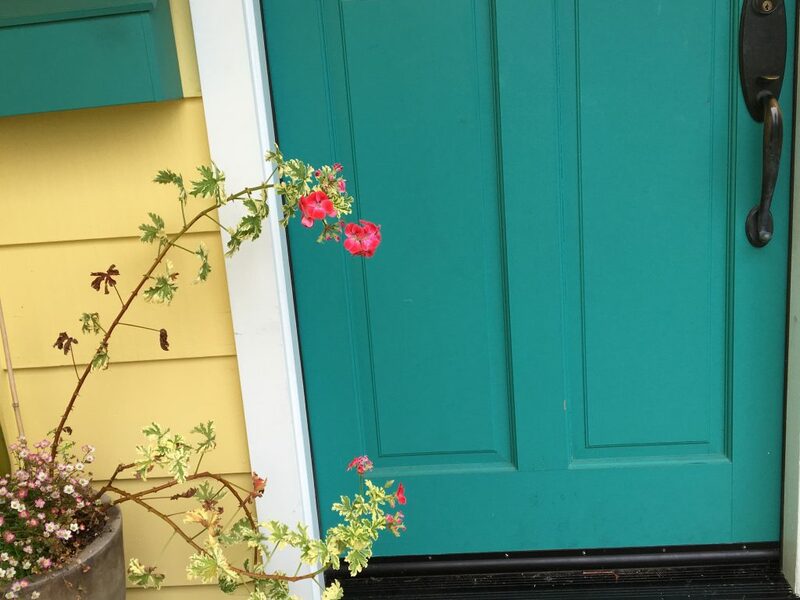 But I didn’t, and now I love the color and shape of it, especially against the teal of our front door. 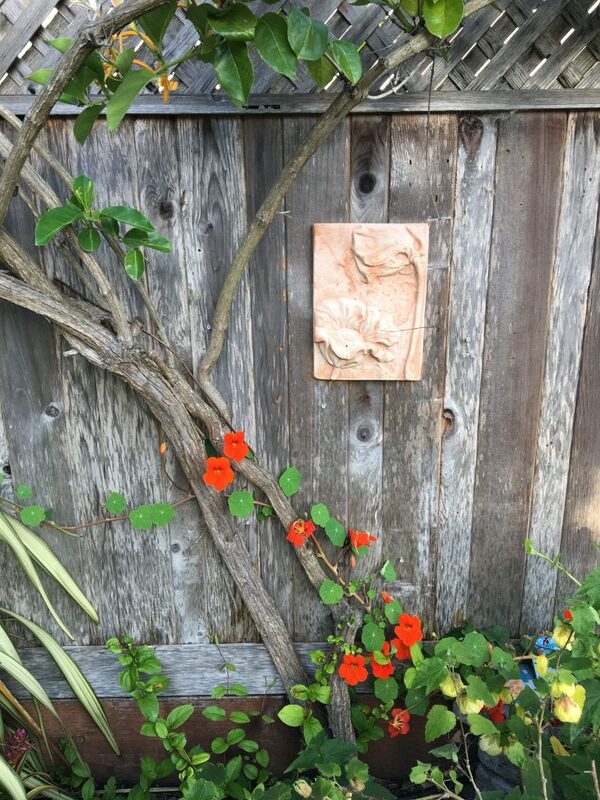 A nasturtium mysteriously showed up and climbed my burmese honeysuckle. 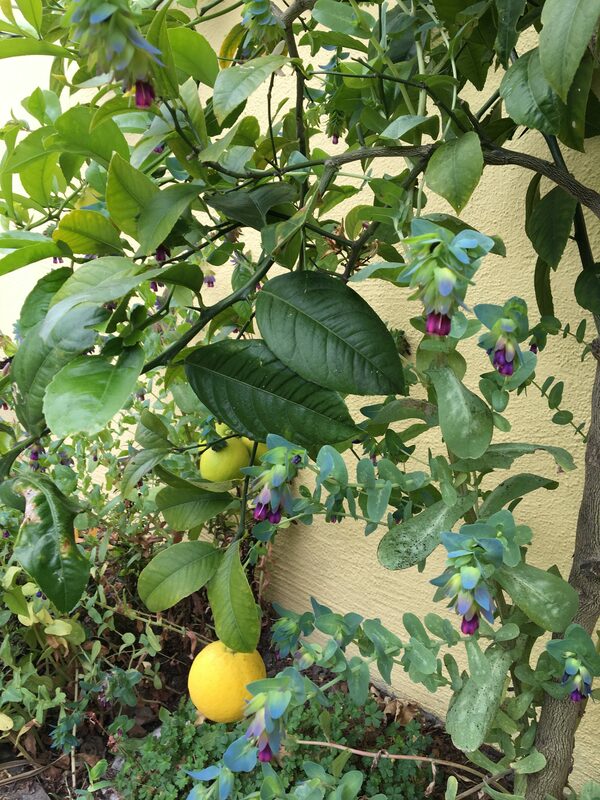 And it’s probably not healthy for my lemon tree to have cerinthe flowers climbing through it, but it sure was pretty! Many of my flowers combined together to make unexpected bouquets. California poppies and dandelions joined my geraniums. Nigella, or love-in-a-mist, snuggled up to my hydrangea. 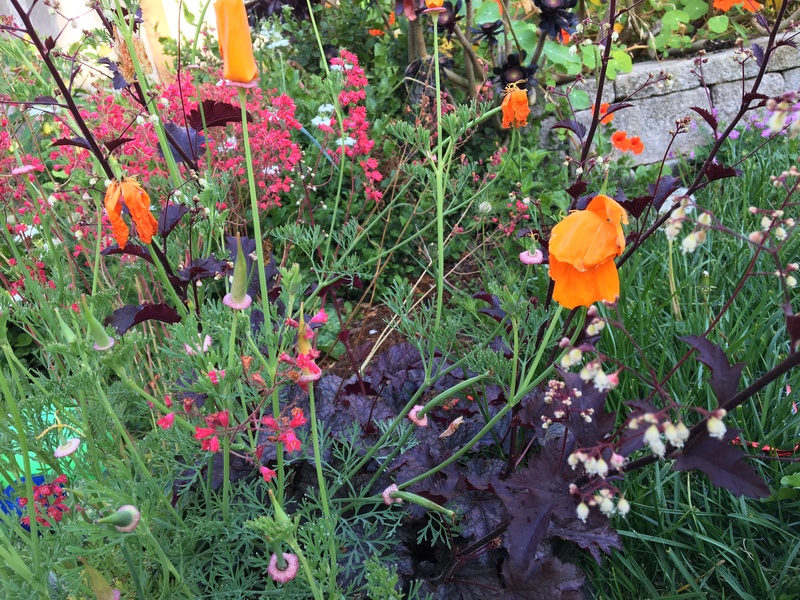 Two kinds of heuchera (coral bells and palace purple) and a poppy make a pretty combination! 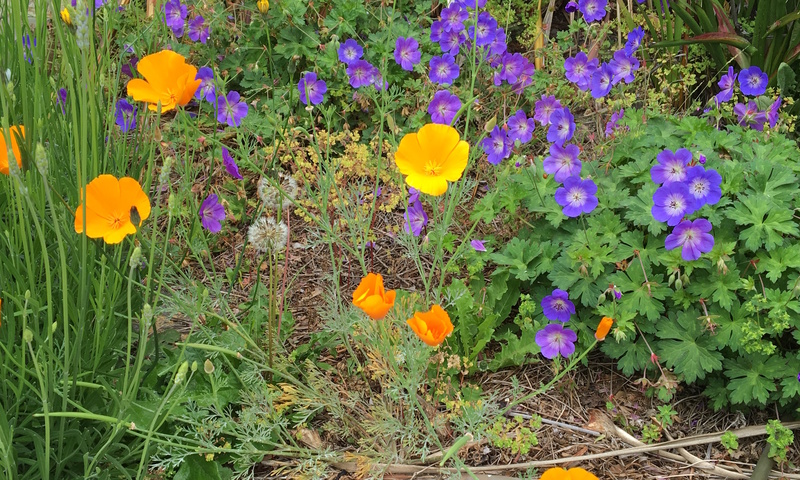 It’s a messy, imperfect, and often-neglected garden, but sometimes, miraculously, it works out well. Thanks for visiting with me today!